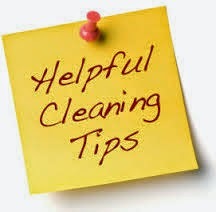 House Cleaning Service in Hyderabad - Quick Cleaning Tips in 5, 15, or 30 mins! You may not have time to fully clean your home (that’s where GigBee comes in), but you likely have a few minutes to do some quick organization to both maintain your space and help you relax in your home. Use the quick cleaning tips below to tidy up your place when you are short on time and want to make your home look fresh! Grab a basket and pick up items laying around the house, on the floors, and countertops. Clear counters and floors do wonders for the psyche and creates the appearance of an organized home. Have a 60 seconds to spare? Spray and wipe down all flat surfaces in your main rooms for a ‘just polished’ look. Fluff all throw pillows and fold all blankets in common rooms where guests might spend time. Sweep only high-traffic areas (entrances, living rooms, etc.). Have 2 minutes to spare? Clear out the kitchen sink and load the dishwasher; it will do wonders to make your kitchen look clean and organized. Make your bed and put away clothes laying around your room, your entire bedroom will look clean with these little tricks. Wipe down your bathrooms with a microfiber cloth and a little bit of water or multi-purpose cleaner. Start with the mirror, then counter / sink. Choose a few more rooms to sweep or vacuum depending on what rooms are most important to you. Have a remaining minute? Open windows to ventilate your space and light a candle – a fresh scent will always make your home feel clean.